I recently finished up a new book and have been looking forward to writing this review. There are three key things I picked up from the book that I want to share. No wasting time–I’m diving right in. :-) By the way, if the name sound familiar, this is the third book I’ve reviewed for John. He knows what he’s talking about. First up, stories are powerful. I think we all know that (and I’ve talked about it both lately and in the past), but it bears repeating. The bulk of this book is made up of interviews with CEOs from companies across the globe. One of the biggest challenges for HR is understanding what the business needs and how to solve those problems. In this book you get to peek into the heads of executives that make the top-level decisions every day, and it’s powerful stuff. When executives change their leadership culture, they are rewarded with significant, sustainable outcomes, including… genuine organizational innovation for not only products but also the organizational systems required to sustain innovation. Do you know what those organizational systems are that he alludes to? Hint: it includes HR! He’s talking about the infrastructure that enables the organization to create value for customers. From marketing and HR to finance and more, there are so many opportunities to truly innovate within the processes and systems we use to drive the organization on a daily basis. This is refreshing, because it departs from the typical look at innovation from the product side–for example, creating the next iPhone. If my internal systems are better, I don’t necessarily have to create the best thing since sliced bread–I can outpace other companies simply due to the effectiveness and efficiency of our systems. That’s a powerful thought. A strong CVP foundation leads to: capability… commitment… and alignment. Think about the employees within your company. Are they capable, committed, and aligned with your strategy and goals? If not, it might be time to rethink your culture value proposition, or what your culture can offer to them. 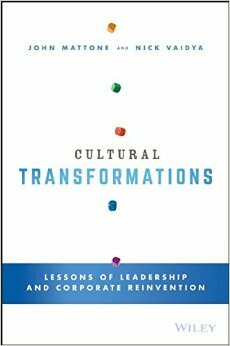 If you are interested in checking out what CEOs have to say about culture and business reinvention, or if you’re looking to hone your own organization’s culture value proposition, then I encourage you to check out Cultural Transformations: Lessons of Leadership and Corporate Reinvention by John Mattone and Nick Vaidya (find it on Amazon here). You can also check out the other books John has written: Intelligent Leadership and Talent Leadership. Find other book reviews here. This entry was posted in General and tagged Book Review, Corporate Values, Culture on March 7, 2016 by Ben. When it comes to leadership, we hear the word on a fairly consistent basis. But what does it really mean, and how do people “get” it? Awhile back I reviewed the book Talent Leadership by John Mattone and really liked it. 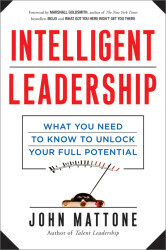 I was able to get a copy of the author’s latest book, Intelligent Leadership: What You Need to Know to Unlock Your Full Potential, and enjoyed it as well. Here are a few of the key points that stuck out to me. We all have mentors of varying shapes and sizes, and yet when we think about them, they are often people outside the business world that we claim as mentors: friends, family, clergy, etc. There is a definite need for more mentoring within our organizations, and we need to be growing leaders to take those roles. When you think about your managers, you can usually bring to mind a bad boss fairly quickly. What if the mentors we immediately thought of were those people closest to us in our working lives instead? Speaking of growing, Mattone uses a phrase early in the book that sticks out to me. Here’s the quote: “I have come to believe that organizations that do not compulsively develop leaders and future leaders… unknowingly grow and multiply leadership with a high probability of derailment and failure.” Think about it–we’re all being developed and shaped on a daily basis. The question is whether it’s in a positive way or a negative one. The 3 C’s of foundational leadership are capability, commitment, and connectedness. Capability is the set of skills and competencies available for development and enhancement. Commitment is the set of motivational factors that drive people to higher levels of achievement (passion, zeal, etc.) Connectedness involves the alignment with personal values and organizational goals. As I’ve said before, I really like reading leadership books, because every one is different and I always pick up some new insights. This one was no exception. Mattone brings some great stories and data together to paint a picture of organizations that truly need a strong crop of leaders while demonstrating how you can make strides toward becoming one of those individuals. Get your copy here. Like this? Check out other book reviews here. This entry was posted in General and tagged Book Review, Books, Leadership on September 14, 2015 by Ben. Incentives: Want to encourage innovation? Make sure your incentive pay aligns with what you’re trying to promote. Rewarding someone with a movie ticket when they saved the company $10,000 isn’t going to promote additional innovations (or it better be the most awesome movie ever). NIH is poisonous: The “not invented here” mentality that many organizations espouse is a dangerous one. It ultimately leads to more silos and less innovation. Procter & Gamble used to be very closed off, and the book talks about how the business was losing millions of dollars annually due to that sentiment. Now it requires 50% of new ideas to come from outside the company, and it wants to increase it to 80%. That’s a powerful shift and a reason why the company still stands strong year after year. Wackiness: We run into this all the time. People make decisions that make no rational sense and ultimately end up breaking something or causing more work. That can even be the CEO in some cases. Thornberry talks about how nobody wants to tell CEO they are making bad decisions. The good thing is that in the end it usually falls to HR, which can be an opportunity to improve the value of the CEO-HR relationship. 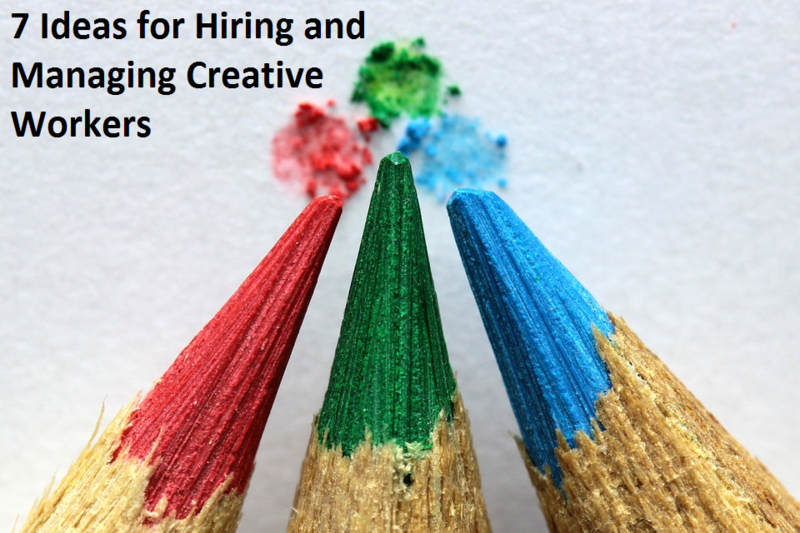 Innovation is about more than sitting in a room “brainstorming” ideas like “we should use less paper in our new hire applications” or “maybe we could print front and back to save money on costs.” It can be a serious differentiator between you and the competition. 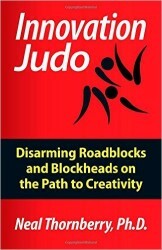 If you are looking to improve the quality and quantity of innovation your organization is producing, I’d encourage you to check out Innovation Judo by Neal Thornberry, PhD. Get your copy here. See other book reviews about HR, leadership, and more. This entry was posted in General and tagged Book Review, Books, Innovation, Leadership on September 9, 2015 by Ben. Last week I took a vacation with my family to enjoy the lovely beaches of south Alabama. I was able to squeeze in a little reading, and here are the fruits of that labor. 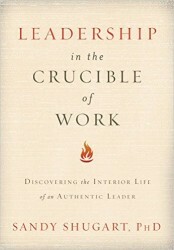 Today we have book review on Leadership in the Crucible of Work: Discovering the Interior Life of an Authentic Leader by Sandy Shugart, PhD (Amazon). Sometimes followers are as important as the leaders. The author talks about the importance of having a clear, strong leader in musical ensembles–an example I’ve never considered previously. Leaders jumping up to “take the reins” in those situations would hamper performance, not improve it. I think I wrote about this another time, but it bears repeating: leaders should ask themselves “Am I seeking genuine commitment from my associates, or deep down do I only want compliance?” There is a major difference in the two, and it would do us all well to think about the people we lead. How can we best garner commitment from them without forcing them into a mindset where they must comply blindly? Bouncing off the previous comment, if you truly want commitment, are you willing to give it yourself? Like so many things (respect, attention, value) when you want something, you have to offer it to others before it can be returned to you. Do you truly believe in the talent of those you lead? Do you believe they are great at what they do? Because if you spend all of your time thinking, “I could do that job better than them if I had time,” then you’ll never have a great team. And if they truly are not that great, consider replacing them. It’s not worth it to walk around all the time second guessing people. The most dangerous thing about communication is the illusion it occurred. A note on the price of experience: “We run to the familiar. This is the price of expertise, the loss of the innocence of a beginner for whom nothing is familiar and so all choices are still possible. And finally, a note on collaboration. We hear the word often and are expected to just “know” what it means. But it doesn’t have the same definition in the mind of each person (hint: for some it looks like an opportunity for micromanagement under the veil of collaborative working). The author’s comment on it made me stop and consider my own method of defining what collaboration looks like: collaboration enlarges leaders and those being led; micromanagement diminishes both. So, if you’re looking for a book on leadership with some good, thought-provoking takeaways, you might consider checking out Leadership in the Crucible of Work: Discovering the Interior Life of an Authentic Leader by Sandy Shugart, PhD (Amazon link). This entry was posted in General and tagged Book Review, Leadership on July 27, 2015 by Ben. 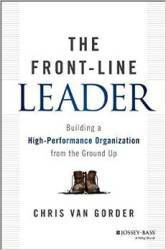 Recently I read The Front Line Leader by Chris Van Gorder while I was on a flight. Usually when I’m flying I take something fun/entertaining to keep my attention, but I needed to knock down my review pile so I grabbed this one. I read it from cover to cover and made dozens of notes as I did. In short: this book is one of the best and most interesting that I have read in several years. It highlights Chris’ role as the CEO of Scripps Health Network and how he leads the organization, some of the practices they use, and loads of other interesting things about this innovative organization. Get your own copy. This entry was posted in General and tagged Book Review, Books, Leadership, Management, Video on March 23, 2015 by Ben.